We cannot ignore the integral role which social media platforms are now playing in our digitally connected world, and just how important they are for any marketing strategy within a modern business or start-up. You are now more likely than ever to be using social media in some form – whether that be Facebook, Twitter or Instagram – and will have probably put in significant hours on your chosen platform. When it comes to business, social media policies are not typically at the forefront of any young entrepreneur’s mind – but, they should be. Without social media policies in place or the right social media training strategy, you are setting your business up for disaster with unsustainable marketing campaigns and the possibility of PR nightmares. If you have two companies each with their own marketing teams producing social media strategies, but only one team has had social media training, who do you think is going to come out on top? The one which has an effective social media strategy which has been created by people who have been educated on the subject. Social media marketing is not just something you can jump into; it’s a complicated minefield of real people which takes time to master. A team which has had social media training will be able to better plan, prioritise and execute effective social media marketing campaigns which overshadow those of their competitors. Behind your social media pages will likely be a small team of individuals. These individuals are human beings, they have emotions, they are capable of critical thinking and, as a result, they could quite easily say the wrong thing and send your business or brand into meltdown. It does not take much; the use of a single word in bad taste or context has been enough to cause significant damage to large corporations. Even when tweets or Facebook posts have been sent out with the best of intentions, they have backfired and caused significant uproar from people all over social media. With a team of people managing your social media pages who have had appropriate training, the risks of these incidents happening is significantly reduced. 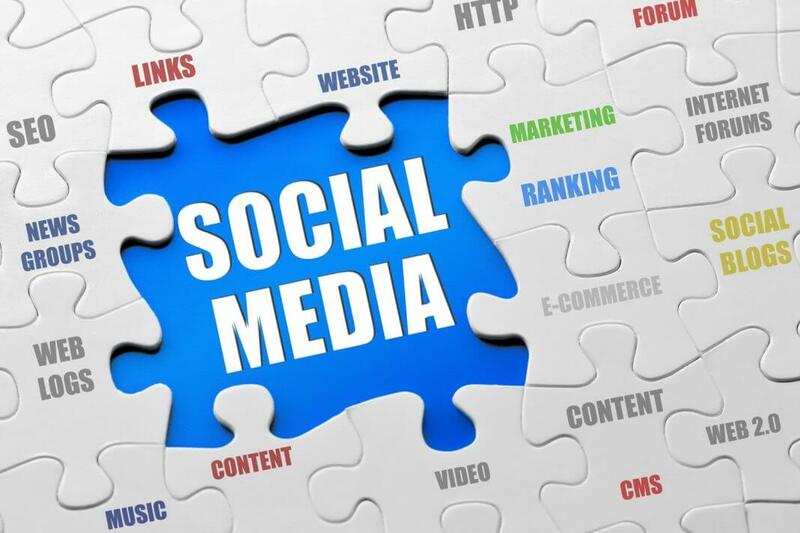 Current and potential customers will use social media to connect with you, receive customer service and learn more about your brand, service or products in general. Your social media channels need to align with your other communication channels and be consistent with your website and other avenues of information. Social media and the ever-increasing use of mobile devices means that your customers have instant access to you, and have the ability to instantly share information with you or about you on their terms. This means that any employees operating your social media accounts (for customer service purposes or otherwise) need to understand the role which social media plays when it comes to communicating with your customers. Social media provides a voice to many people and, depending on an individual’s social media following, that voice can be powerful. Naturally, then, social media enhances the voice of the disenfranchised, or discontent customers who want to share their dissatisfaction and vitriol with the world. What will you do if, suddenly, your brand becomes the subject of attacks from people all around the world because of a bad marketing campaign, or because an employee acted in a manner which calls your company’s reputation into disrepute? There are many examples of companies facing backlash on social media and struggling to respond quickly and effectively. Social media training and policy will mean that your company has a damage reduction plan in place if this were ever to happen. Over half of all social media users are using these platforms whilst considering making a purchase. In fact, social media and e-commerce are coming together under a term known as ‘social commerce’ to allow customers to make purchases within these platforms, making a social media profile more important than ever for businesses selling physical products. It is estimated that 40% of people use what they have read on social media to make a purchasing decision, and this figure will only grow as social commerce comes into play and more of us rely more on social media with each passing day. Without social media training, how will you or your marketing team know how to best utilize social networks to boost up sales, or if you are targeting people who are not interested in your product or service? More and more people are accessing social media as time goes by, even older generations are jumping on the social media bandwagon. Twitter’s 55-64-year age bracket is its fastest growing demographic, and on Facebook it is the 45-54 age bracket which is growing quickest. Thanks to better global connectivity and the mainstream growth of smartphone devices, constant connection to social media is becoming a reality for many of us. Again, tying into marketing, social media training can help you better tailor your social media posts to a varied audience, not just to the younger one. Employees who enjoy social media and are given proper training on the subject can quickly become your brand’s biggest advocates, motivated to helping it succeed on social media and beyond. These people are amazing at keeping up with the latest social media trends, finding out what your customers are saying about your brand and are perfectly suited to create engaging and emotive content which will get you noticed amongst the sea of other companies operating on social media. Michael Deane is the Editor of Qeedle, a small business magazine, and has been working as a marketing executive for nearly a decade. He manages teams with great success, aiming to facilitate better conversion rates and return on investment for his clients.